An epic 74 minute world music album of original compositions from Lawson Rollins, featuring an eclectic, all-star ensemble of 20 different musicians recorded on location in Nepal, Iran, and the U.S. Featuring the Billboard Top 30 jazz radio hit "Daybreak". In their article on Lawson and the ELEVATION album, Guitar Player Magazine writes: "He possesses ungodly classical chops, with dazzling speed, uncanny accuracy, and a beautifully delicate touch...Lawson incorporates jazz, Brazilian, Latin, and world music influences into his complex musical stew, making for an intriguing listen." Full interview here. ELEVATION marks an expressive high point for acclaimed composer and guitarist Lawson Rollins. Departing from conventional song structure, Rollins crafts 13 emotionally charged soundscapes rich with moments of intensity and spaciousness. 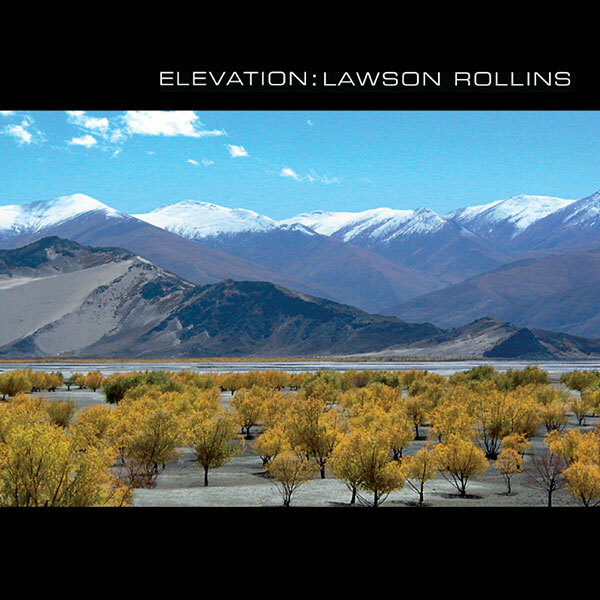 ELEVATION mixes Middle Eastern, Spanish, and Indian musical motifs with World Beat rhythms and the distinctively modern guitar stylings of Lawson Rollins. Featuring Persian-American musician Shahin Shahida, multi-platinum producer Dominic Camardella, avant-garde guitar legend Buckethead, veteran producer William Aura, Nepali flute star Ruben Shrestha, tabla master Raju Maharjan, Iranian santur virtuoso Pejman Eckhtiari Grammy-winning violinist Charlie Bisharat, and many more renowned musicians. Vintage Guitar Magazine states: "Even 'world music' seems an inadequate blanket to wrap around what Rollins has created here. But whatever it is, he is a master of it." Inside World Music declares: "Another astounding album of world fusion and avant-garde jazz...Rollins reaches new musical heights."